Take a retired Autistic Comedian. Give him time to think, and a computer. Three years later, and more than 200 stories later, you get this book. A collection of Science Fiction, Fantasy, Romance, Biography and Westerns, with many a true story thrown in too. Most of the stories are upbeat, feel good, and will leave you pondering, or gently laying the book down, as your own memory opens a path to the story. A couple of stories may make you cry, the did me. Some might make you laugh, they did me. Some may make you think, they did me. Wander through a Universe inhabited by outcomes that border on miracles, or delusion, or both. There is a lot of truth in Fiction, just like in these stories. Lost loves, forgiveness of past wrongs, starting over- again, all these things play out in stories from the past, or present, or future. You may chuckle at a few stories, maybe even laugh out loud. The humor is genuine, no sarcasm, just laughter. The author is Autistic, and even though he doesn't get sarcasm, decades of bullies and bullying have helped him recognize when it is present. You won't find many bullies winning in these stories. You will find, math, science, alien life, frontier life, true love, and happy endings (mostly). If books were food, this one would be a stew with many ingredients. Like a stew you can sample it , taste it, and let it simmer, and then reheat it. Some folks like to race through the stories, only slowing down when they see themselves in a character, scene, or situation. Others find a groove, and let the stories flow around them gently bumping up against the ones they like. Even inanimate objects, like a rocker, or a computer, or a crystal have a story to tell. In this book, the do tell their story. Enjoy. 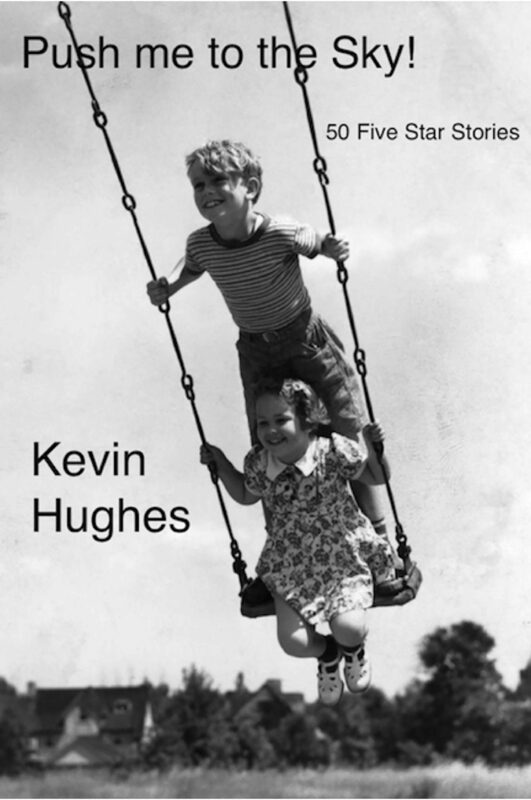 Otros ebooks de Kevin Hughes.